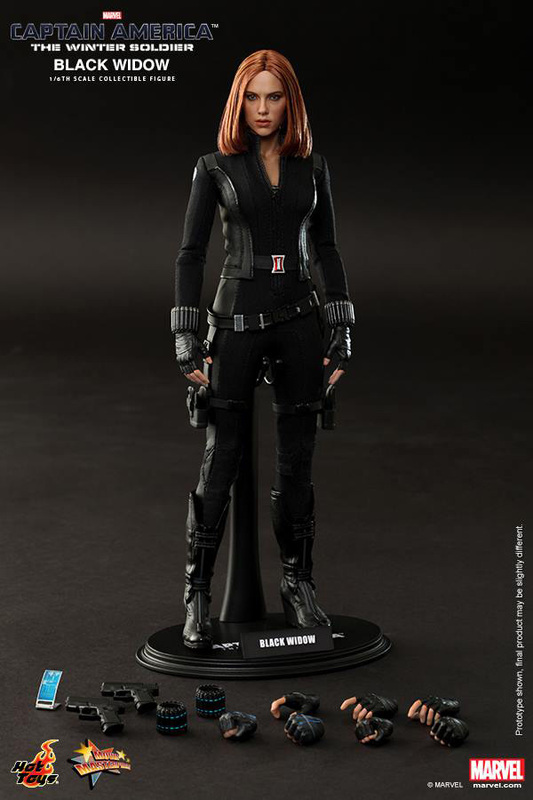 There are a total of 2 Black Widow figures released so far. 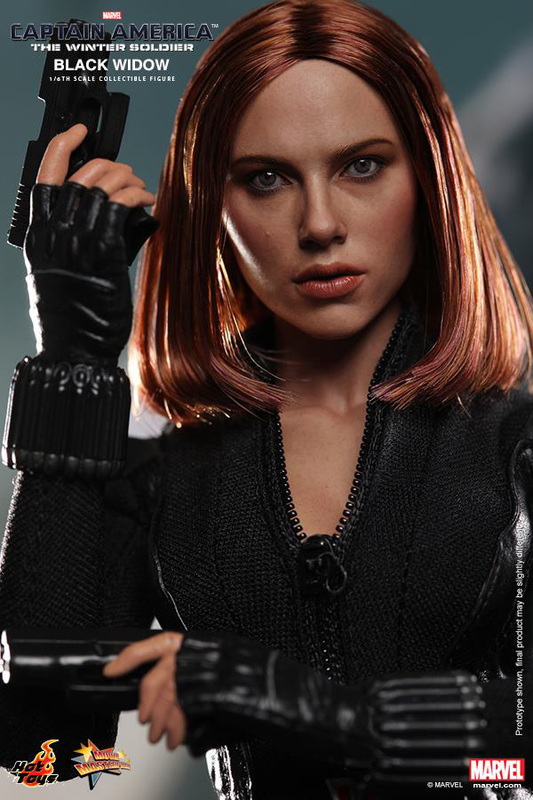 The first one – dubbed as the “long haired” Black Widow – was from the film Iron Man 2. 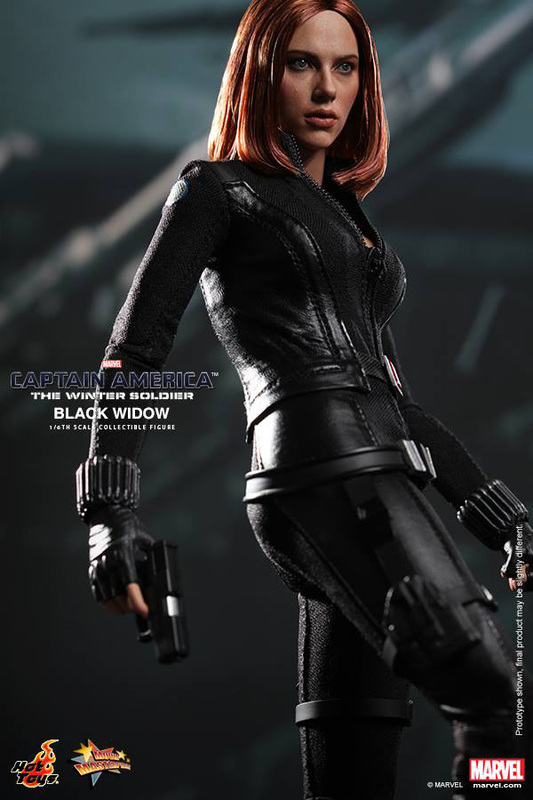 This is the very first Black Widow figure released by HT. 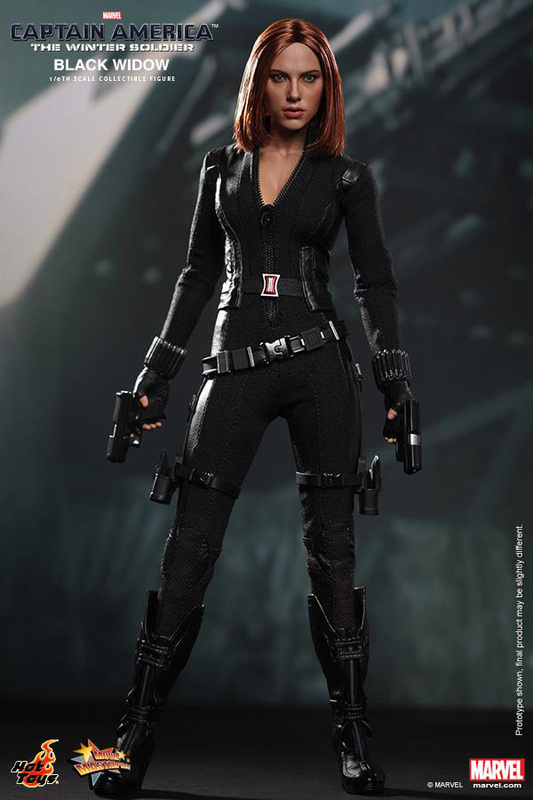 The second Black Widow figure – dubbed as the “short haired” Black Widow – was based on the film The Avengers. 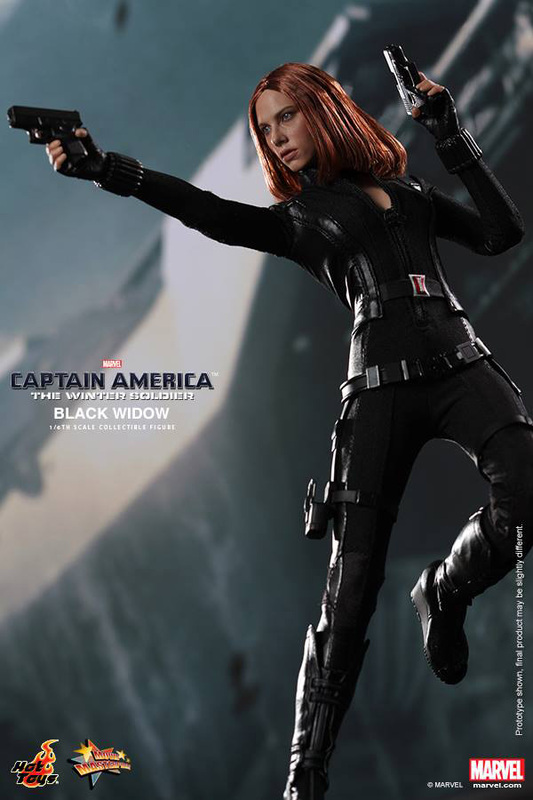 I currently own the second one since she’s a key character in completing Hot Toys “The Avengers” figure series. 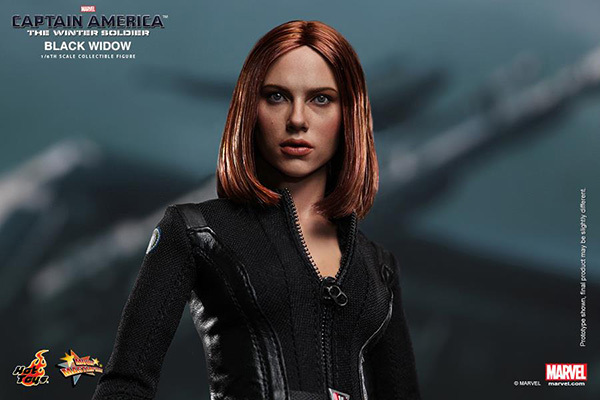 These 2 released Black Widow figures have a single problem in common – they don’t look like Scarlett at all. This is one of the reason why I didn’t get the original BW figure from Iron Man 2 and I only both the second version because I needed to complete all of the Avengers characters. 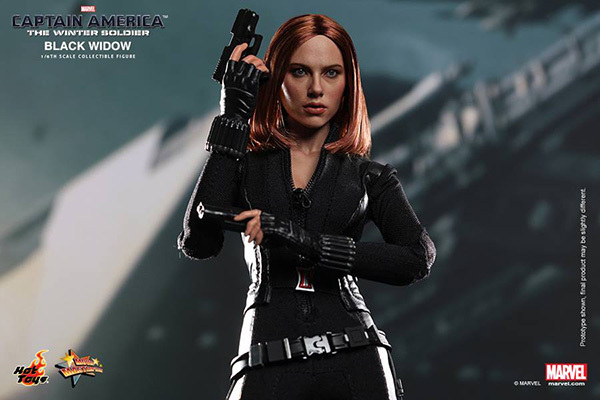 I’m honestly not impressed with the 2 released Black Widow figures not until I saw the third version which was based on the upcoming film, Captain America: The Winter Soldier. 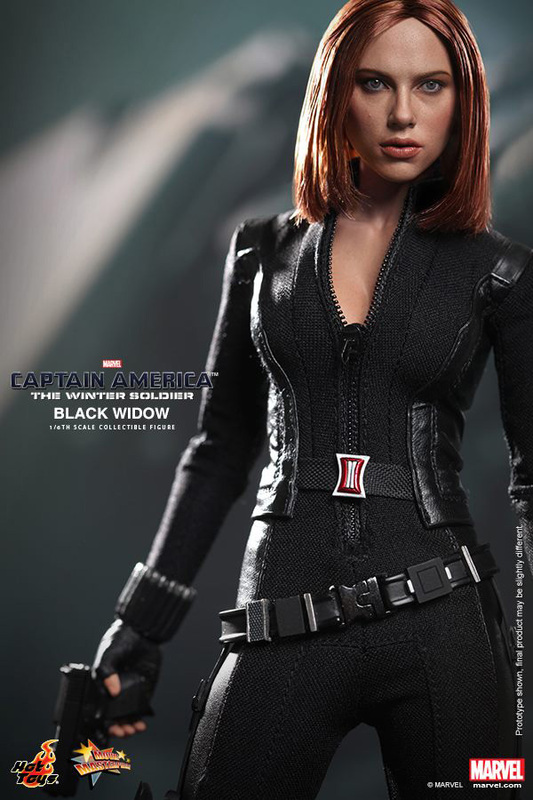 Let’s call this third version the “re-bonded” Black Widow. 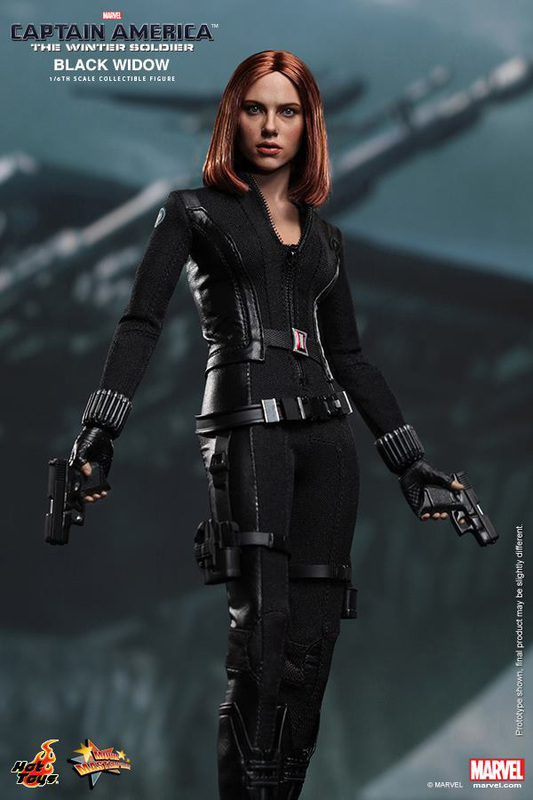 This is the Black Widow figure we are all waiting for. The head sculpt is like 10x better compared to the previous 2. I can definitely say that this is indeed Scarlett. I also showed it to my friends and they instantly recognized the head sculpt – not unlike when I showed them the previous version – they were all like “who the #%$ is this?”. 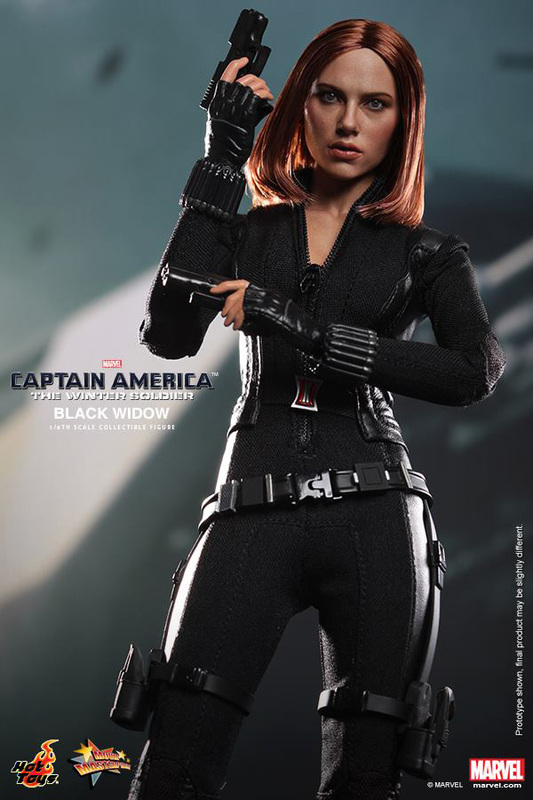 Figure slated Q2-Q3 2014, $189.99. Born circa 1928, Natalia "Natasha" Romanova was apparently orphaned as a child when she was trapped in a burning building during an early attack on Stalingrad by enemy forces. Ivan Petrovitch Bezukhov, a Soviet soldier, found Natasha in the inferno and rescued her. Although Ivan kept a close eye on Natasha as she grew, by the late 1930s she had attracted the attention of Soviet intelligence, which began her training. In 1941, she was almost brainwashed into serving the ninja clan the Hand, but was saved by Ivan, Logan (James Howlett, later Wolverine) and Captain America. 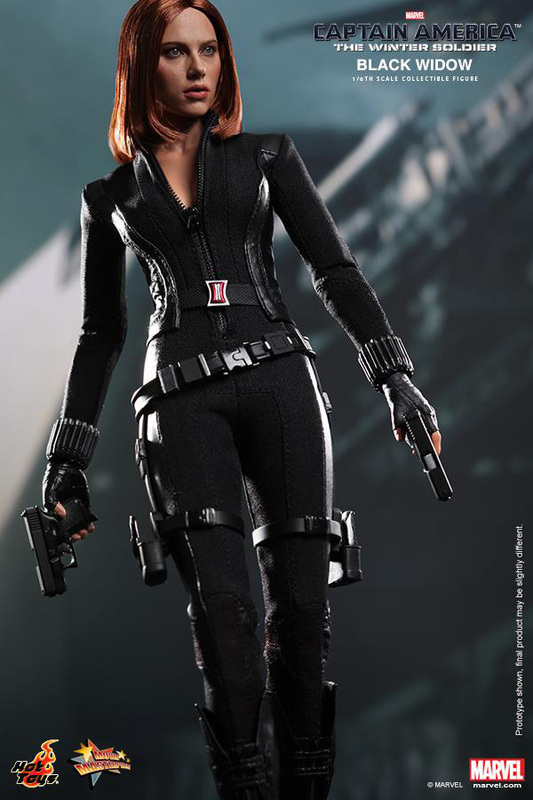 Following World War II, Natasha was recruited to become part of the Black Widow Program, a team of elite female sleeper agents. 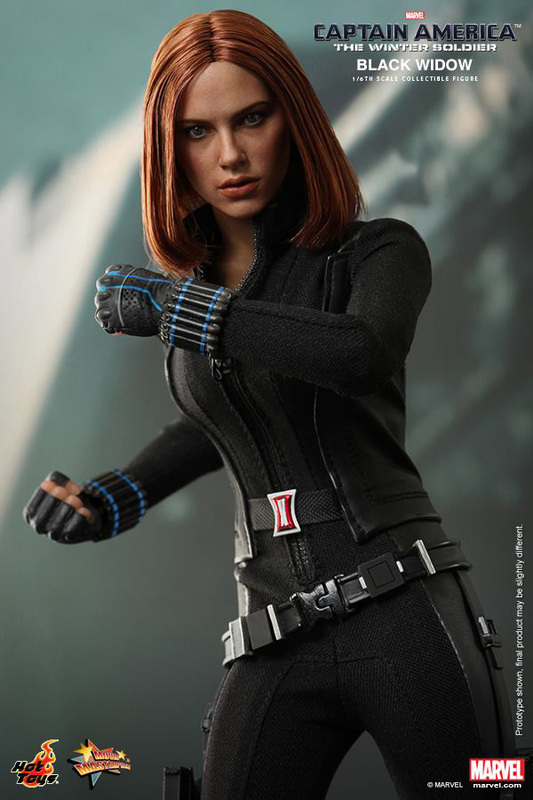 Among the Widow’s instructors was the Winter Soldier, formerly Captain America’s sidekick Bucky (James Barnes); Natasha studied as a ballerina to cover for her true occupation. The Soviet state eventually arranged for Natasha to marry Alexi Shostakov, a champion test pilot. 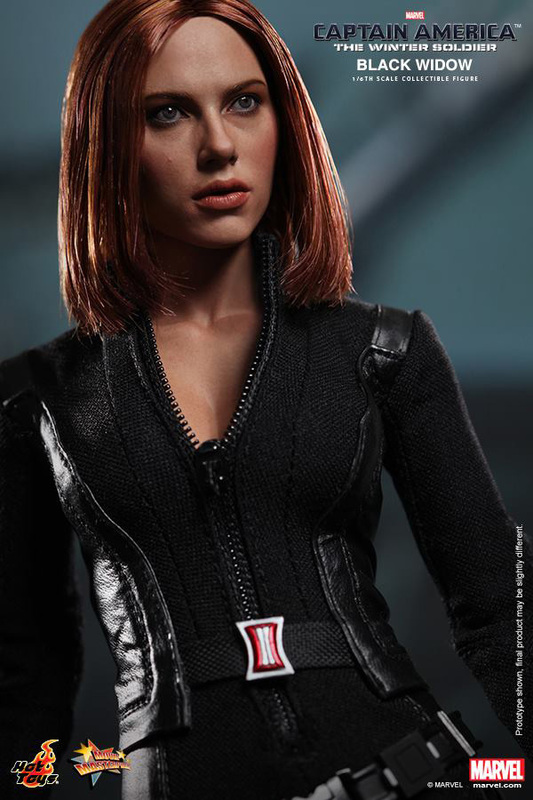 After a few years of a happy marriage, the KGB faked Shostakov’s death in a rocket test; grief for Shostakov drove Natasha’s resolve deeper and she continued her education with the Red Room Academy, finally being appointed the title of the Black Widow. Captain America: The Winter Soldier is a 2014 American superhero film featuring the Marvel Comics character Captain America, produced by Marvel Studios and distributed by Walt Disney Studios Motion Pictures. It is intended to be the sequel to 2011's Captain America: The First Avenger and the ninth installment in the Marvel Cinematic Universe (MCU). The film was directed by Anthony and Joe Russo, with a screenplay by Christopher Markus and Stephen McFeely, and stars Chris Evans, Scarlett Johansson, Sebastian Stan, Anthony Mackie, Cobie Smulders, Frank Grillo, Emily VanCamp, Hayley Atwell, Robert Redford, and Samuel L. Jackson. In Captain America: The Winter Soldier, Captain America and the Black Widow join forces to stop a covert enemy that is hiding in Washington, D.C.